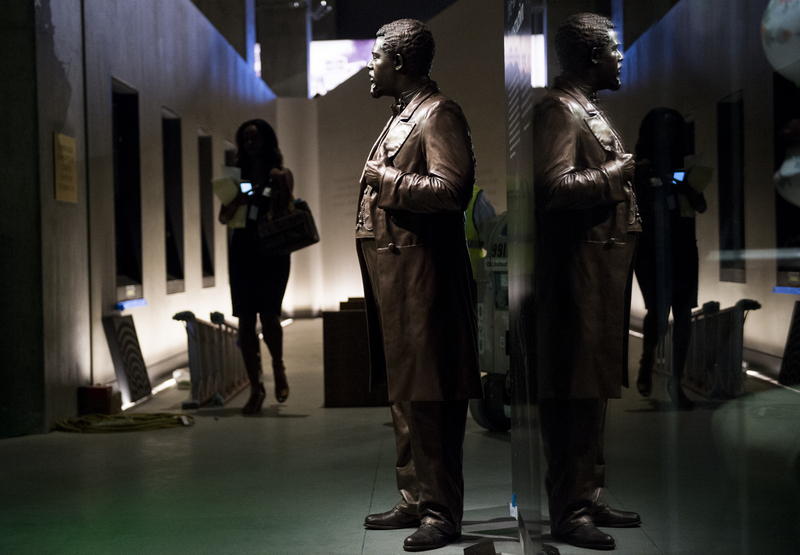 After a long time coming, the National Museum of African American History and Culture opens its doors and 12 almost-ready exhibits to the press. The museum’s grand opening on Sept. 24 will be attended by President Barack Obama and other luminaries. On Wednesday, the visible construction in almost every portion of the museum prompts questions about whether the Smithsonian would be finished on time. "We are so ready it&apos;s ridiculous. We&apos;ve got 10 Days? Piece of cake," founding director Lonnie G. Bunch says in his welcome remarks. “Our country will gain a further understanding of what it means to be an American,” the secretary of the Smithsonian, David J. Skorton, says. From Rep. John Lewis, D-Ga., and the late Shirley Chisholm, D-N.Y., to President Barack Obama, Condoleezza Rice and Colin Powell, the museum honors the African American politicians who broke barriers in America. "By age 25, John Lewis was a veteran of the civil rights movement,” Lewis’ portion reads. "He had been arrested and jailed, injured many times, and beaten nearly to death on bloody Sunday at the Pettus Bridge in Selma, Alabama. His commitment to change ultimately led him to the Atlanta City Council in 1981 and five years later to the U.S. House of Representatives." The whole museum is ordered chronologically, starting from the bottom with a statue of President Thomas Jefferson in front of 609 bricks, representing the number of slaves he owned. 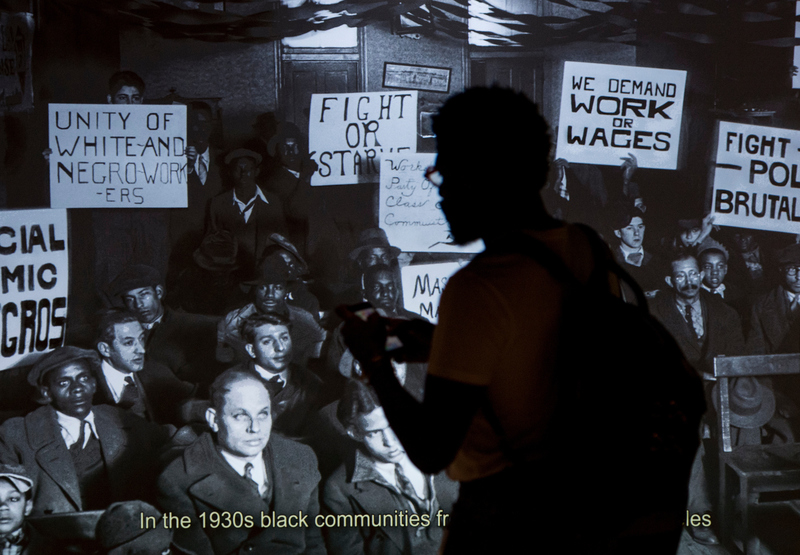 It spans the global slave trade, slavery in America and the civil rights movement. “It’s hard to take a look at the slave cabin from Edisto Island and not be moved, not to be frozen in time and journey back to what life must have been like for folks who were forced to leave their homes, forced to separate from their loved ones,” Scott says. Businesses run by African Americans are celebrated. Journalism fetes from the Freedom Journal in 1827 to Ebony magazine in 1945 are shown. Singers and songwriters, actors and other entertainers are highlighted. Oprah Winfrey is prominently featured and the main auditorium is bears her name. And, the sports section is extensive, it includes athletes from Mike Tyson and the Harlem Globetrotters to Tiger Woods and Gabby Douglas. There are life-sized statues of notable moments and people: the Mexico City Olympic protest, Venus and Serena Williams and Jackie Robinson. Asked if anything was missing from the museum, Scott said he will need to return four or five more times. “A part of understanding what should be here is understanding how things were woven together and why,” he said. The museum will use a timed pass system for the opening. More information about the opening can be found here. A café with a menu crafted by Chef Carla Hall is onsite.